The Republic of the Sudan, sometimes called North Sudan is famous for wrong reasons. Its President, Omar al-Bashir is wanted by the International Criminal Court on charges of genocide, war crimes and crimes against humanity in Darfur. The president remains a fugitive of international law and continues to use "genocidal language" against his country's new neighbors - citizens of South Sudan. In 2010, a video showing a woman flogged in public in Sudan put the spotlight on medieval forms of punishment sanctioned by Sudanese law. More recently, the story of Intisar Sharif Abdallah, a young mother sentenced to death by stoning over charges of adultery, has once again highlighted the sorry-state of human rights in the Republic of Sudan - under the leadership of Omar al-Bashir. Intisar Sharif Abdallah, mother of three, was found guilty of adultery by the Criminal Court of Ombada, Khartoum state, Sudan and sentenced to death by stoning. She admitted the charges after being beaten by her brother and was reportedly tried without legal representation by a lawyer. She initially pleaded not guilty but later changed her plea under duress. The man held with her for adultery was released while she was detained with her 4-month-old baby. This highlights discrimination against women - many of whom suffer persecution while their male counterparts in similar or the same situations walk free. According to Amnesty International, the young Sudanese mother was sentenced on 13 May 2012. [Source]. The handling of the case of Intisar Sharif Abdallah is incompartible with international law in many ways. Her right to a fair trial was violated. She was denied access to a lawyer and interpreter, and was convicted based on testimony obtained under duress. She is being detained with a baby - in violation of Article 37 (b) of the Convention on the Rights of the Child to which Sudan is party. She was tried while the man held with her was released - in violation of anti-discrimination laws. 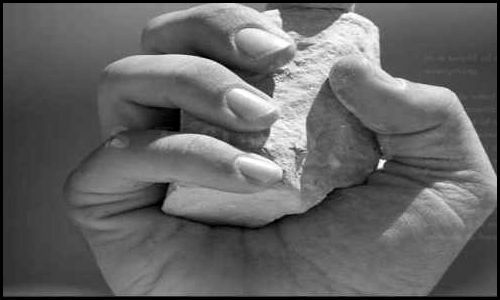 Above all, stoning amounts to torture and violates key international standards, including the Convention Against Torture, and Other Cruel, Inhuman or Degrading Treatment or Punishment, which Sudan signed on 4 June 1986. It goes without saying that Intisar Sharif Abdallah should not be executed. Her trial was deeply flawed and contravened international human rights standards. Amnesty International is calling on human rights supporters to sign a petition to stop the execution of Intisar Sharif Abdallah. I signed the petition on the website of Amnesty International Finland (in Finnish). The petition is available in English on the website of Amnesty International Ireland. You're encouraged to sign it. Together we can stop this medieval form of punishment.